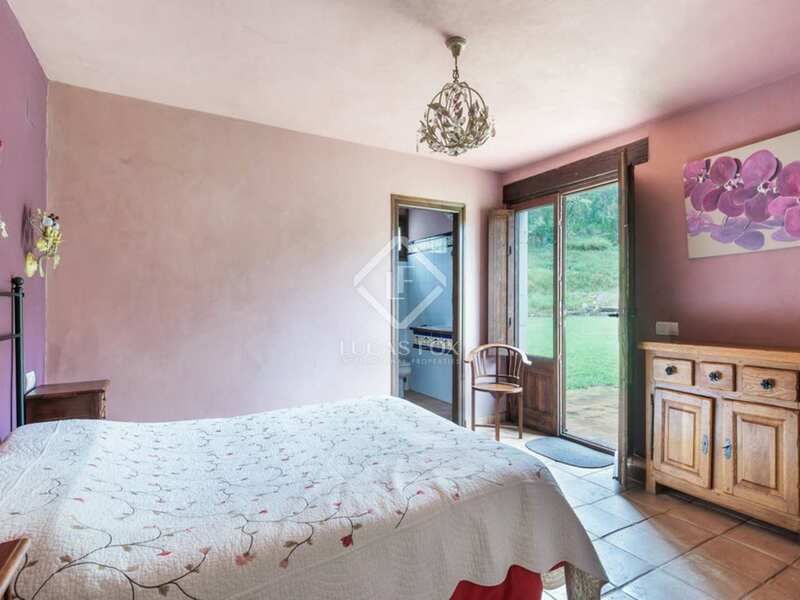 Country house with a rural hotel licence and wonderful gardens for sale in Mont-ras. 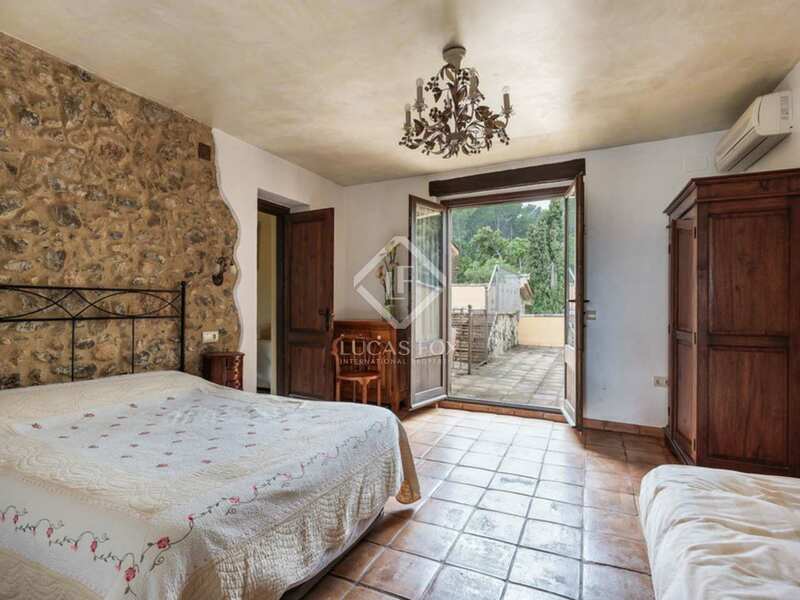 This charming rural house for sale is an exciting business opportunity in Mont-ras. 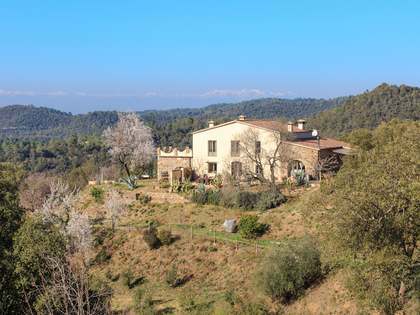 The property holds a licence allowing it to be converted into a rural hotel in an excellent location. 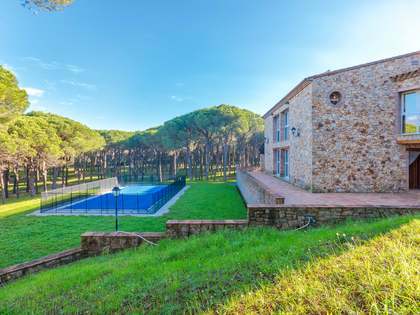 Surrounded by nature this house is in a beautiful natural setting, perfect for enjoying the wonderful climate in peace and tranquillity. 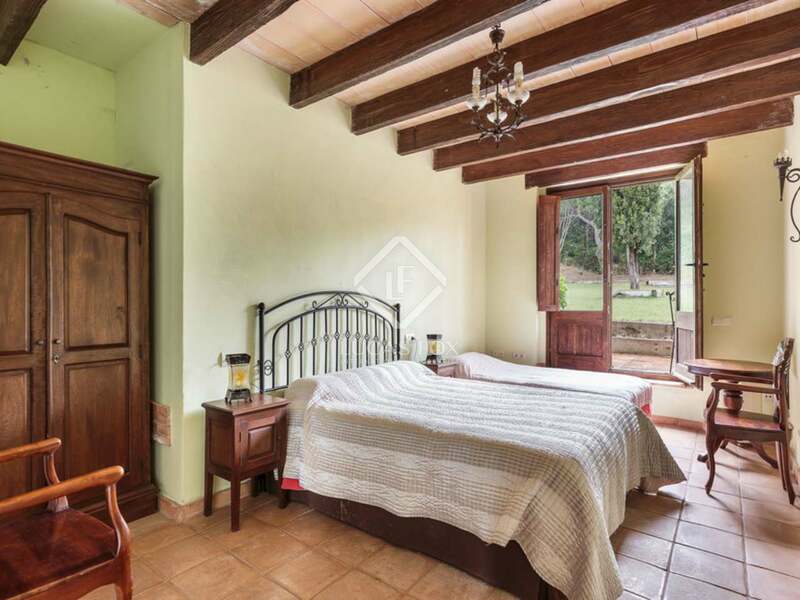 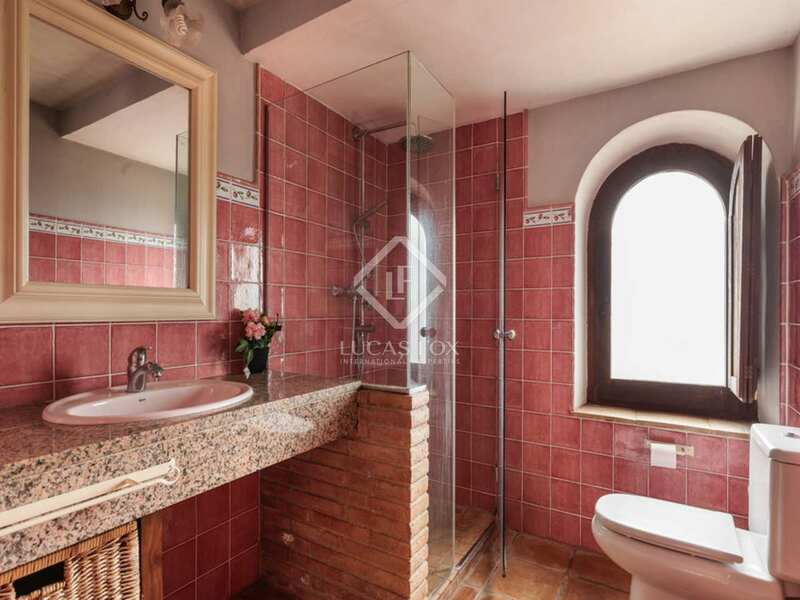 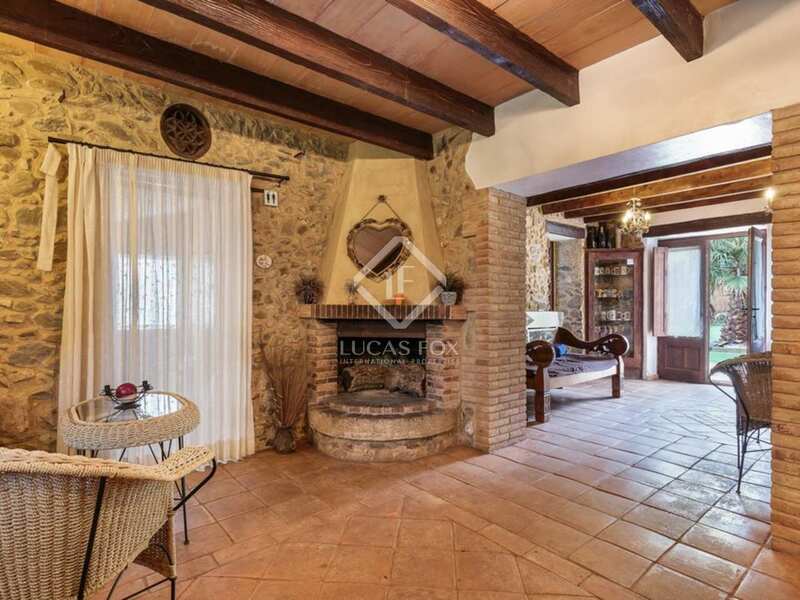 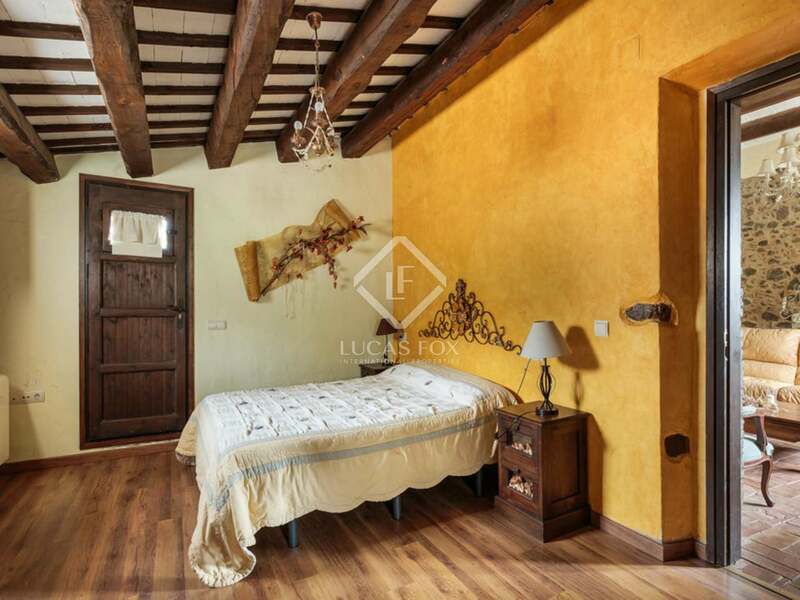 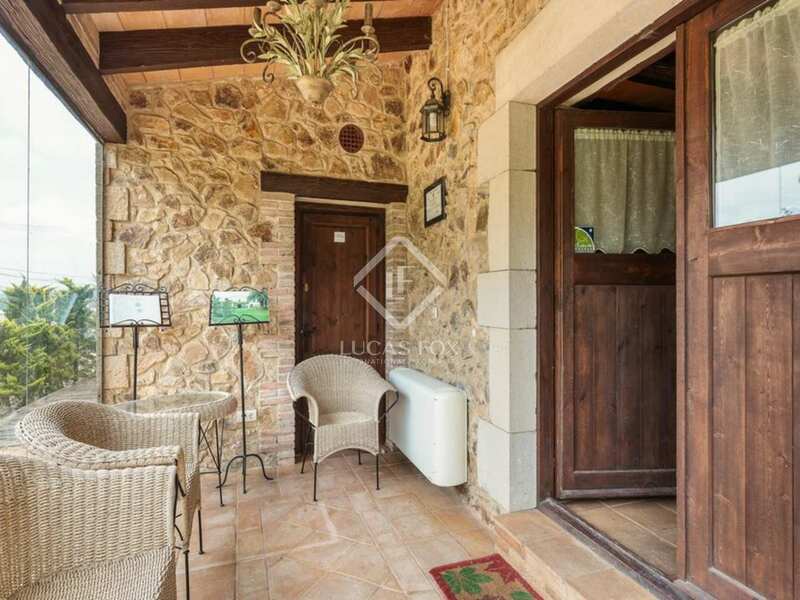 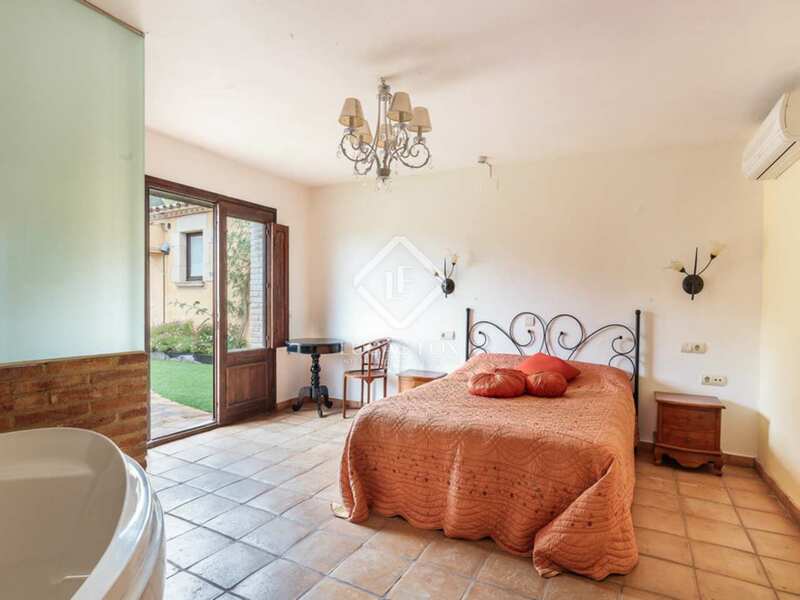 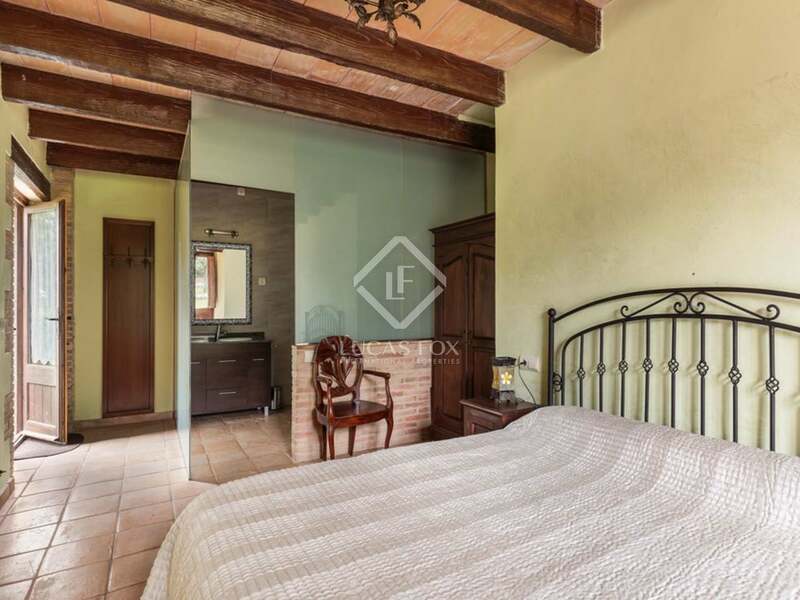 Built in 1982 and renovated in 2007 the property is found in a good condition and maintains charming features including exposed wooden beams and brick walls. 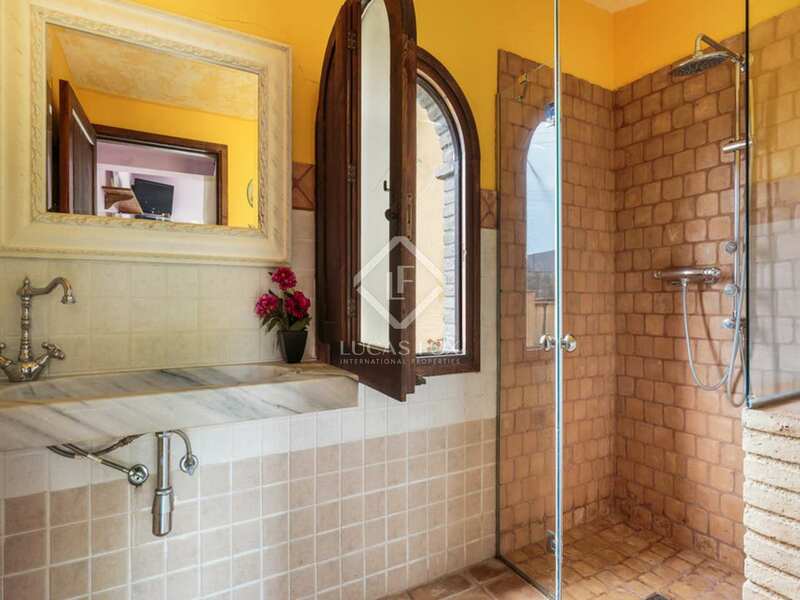 With a total of 8 bedrooms, each with its own en-suite bathroom, the property lends itself perfectly to use as a rural hotel. 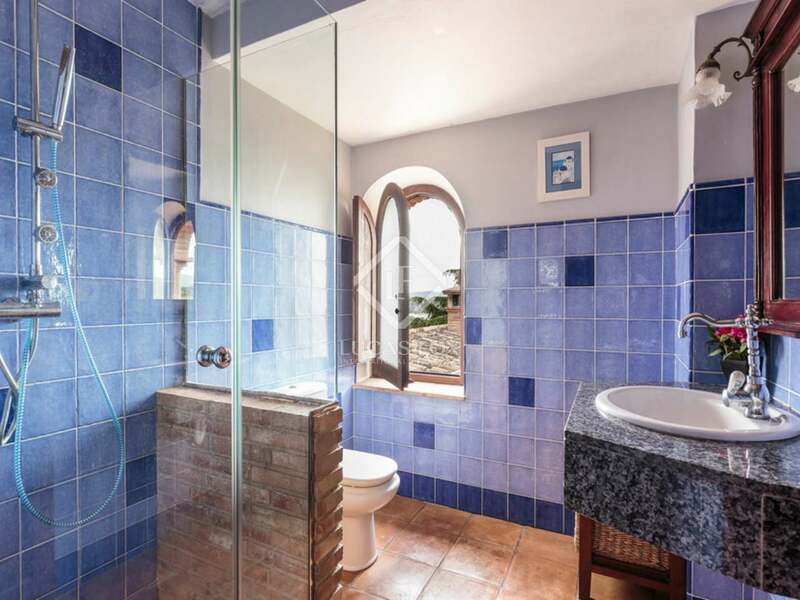 Five of the bedrooms with their corresponding bathrooms are located on the lower floor, 2 of which have independent access from the exterior. 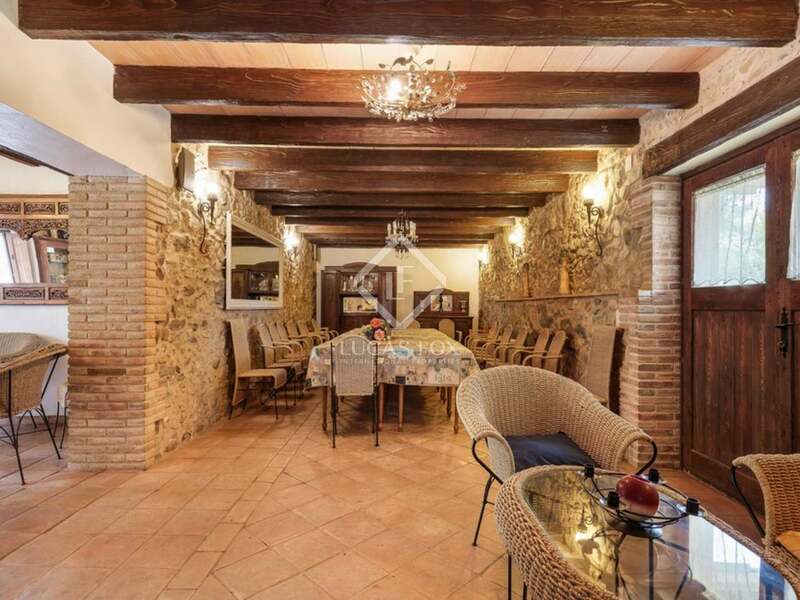 The fully equipped industrial kitchen plus a dining area with a chimney and capacity for 20 diners provide an ideal hotel restaurant. 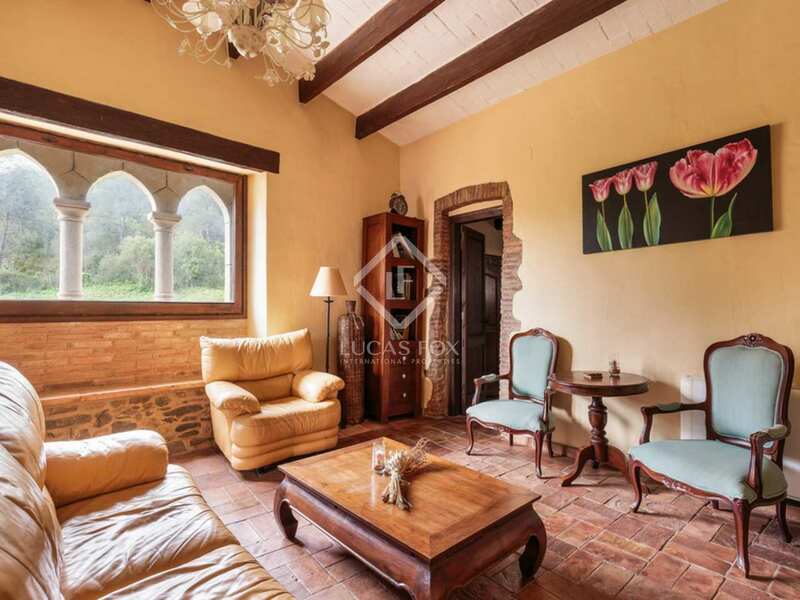 Two living areas complete the lower floor. 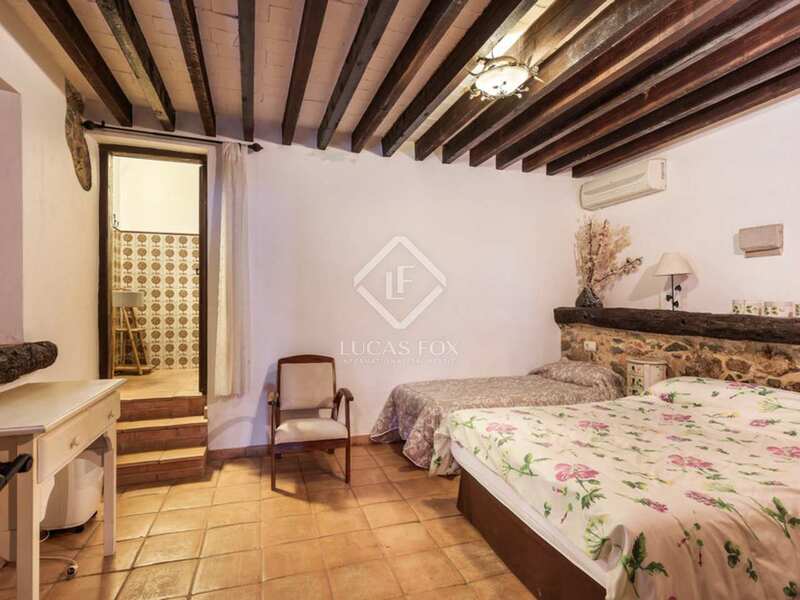 On the upper floor we find the remaining 3 bedrooms with en-suite bathrooms, 2 of which have an access onto a large shared terrace. 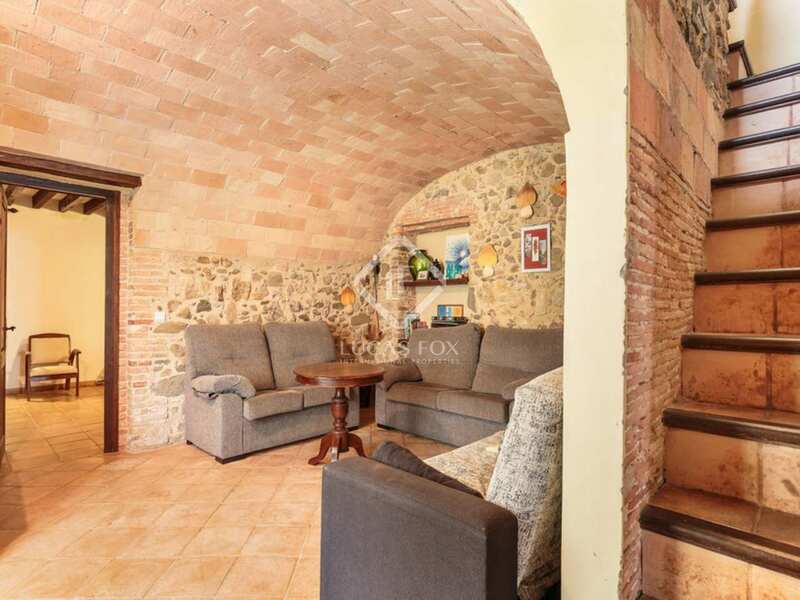 There is also a pleasant living area which could be used as a reading room. 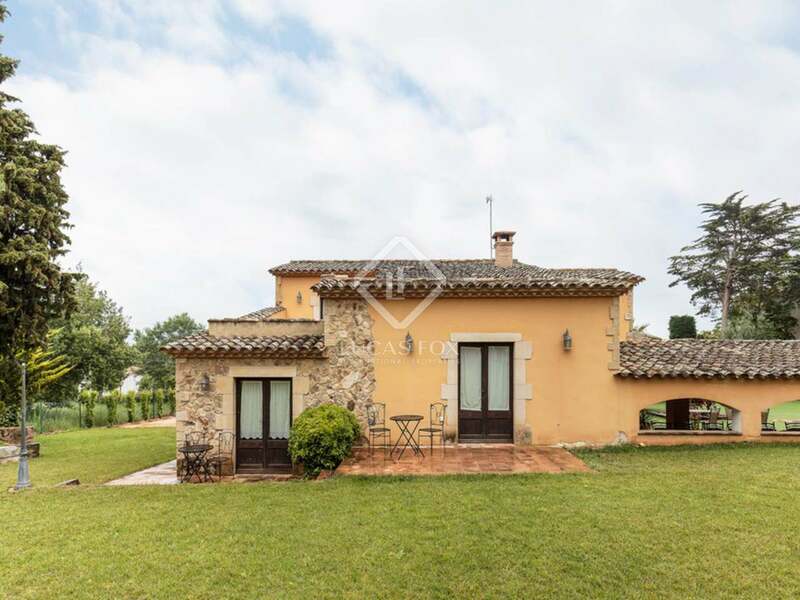 The rural house is complemented by its lovely outdoor space which has been used as a wedding venue in the past; a porch for outdoor dining in addition to the lush green lawn and swimming pool would be enjoyed by guests and owners alike. 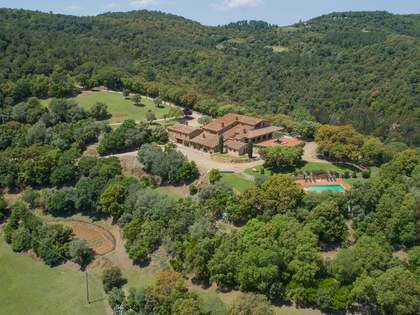 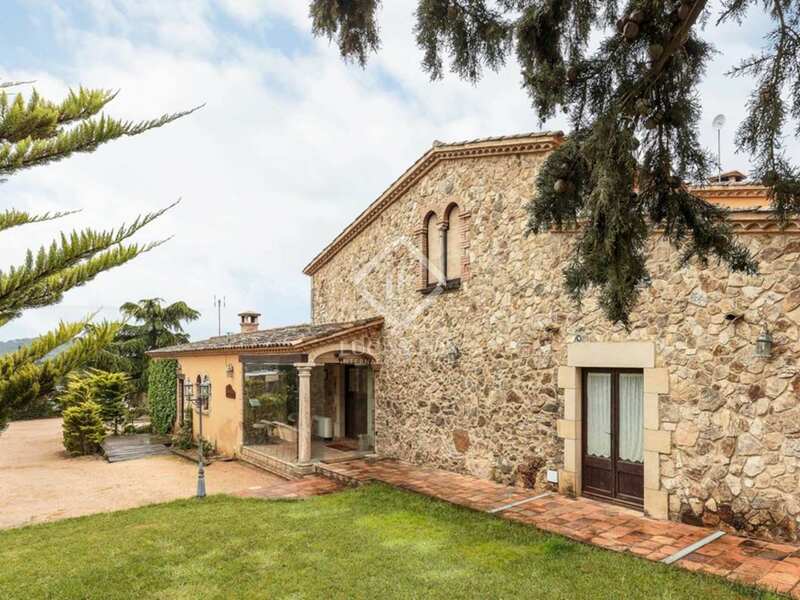 An exciting opportunity for a family or investor interested in embarking on a new business venture in the Baix Empordà. 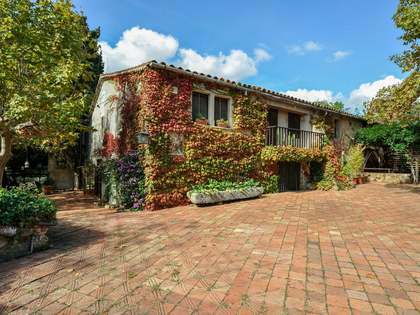 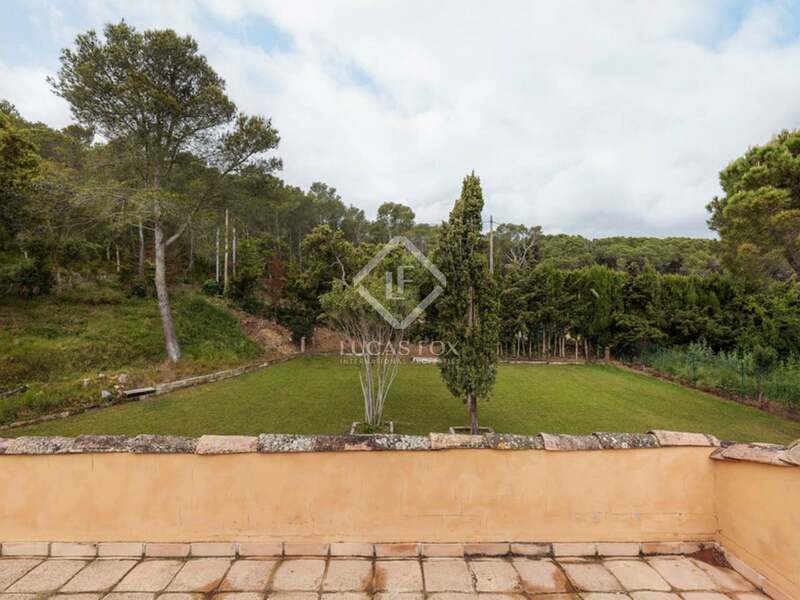 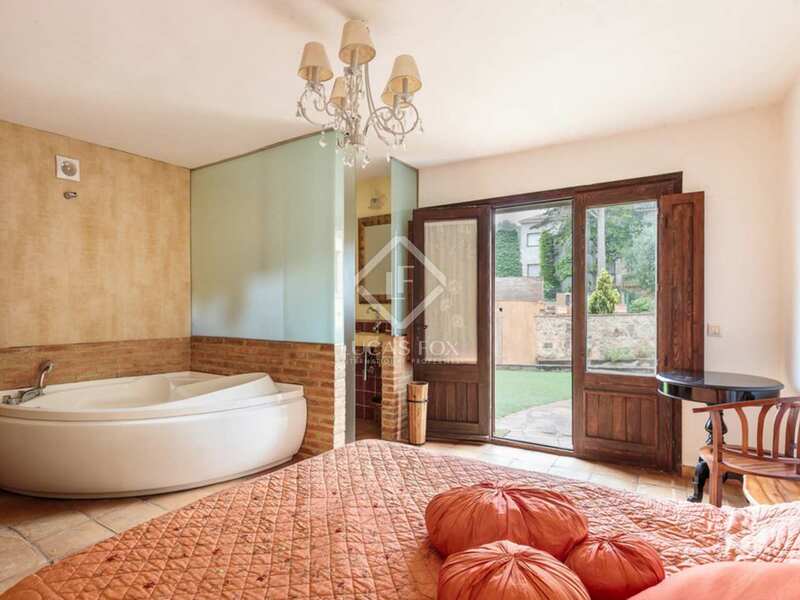 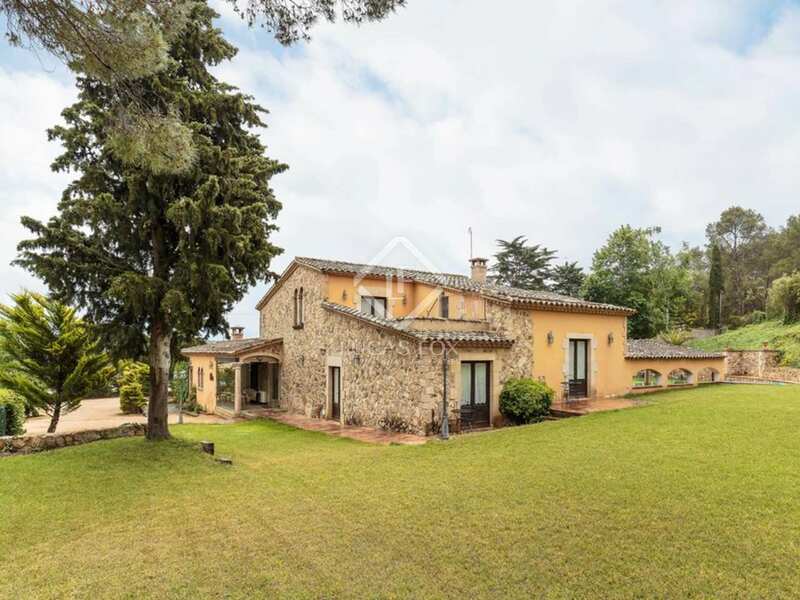 Rural house located in the surroundings of Palafrugell in the Baix Empordà. 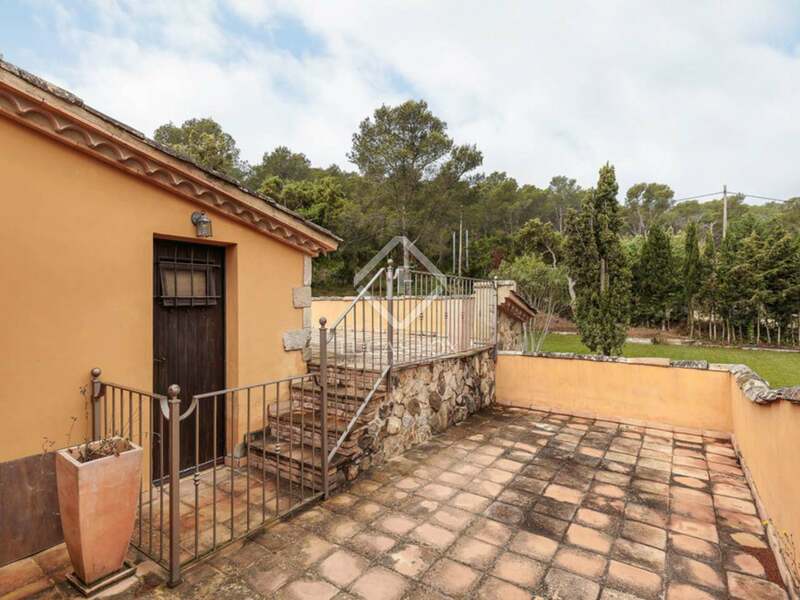 In the town of Palafrugell there are all the necessary services for year-round living. 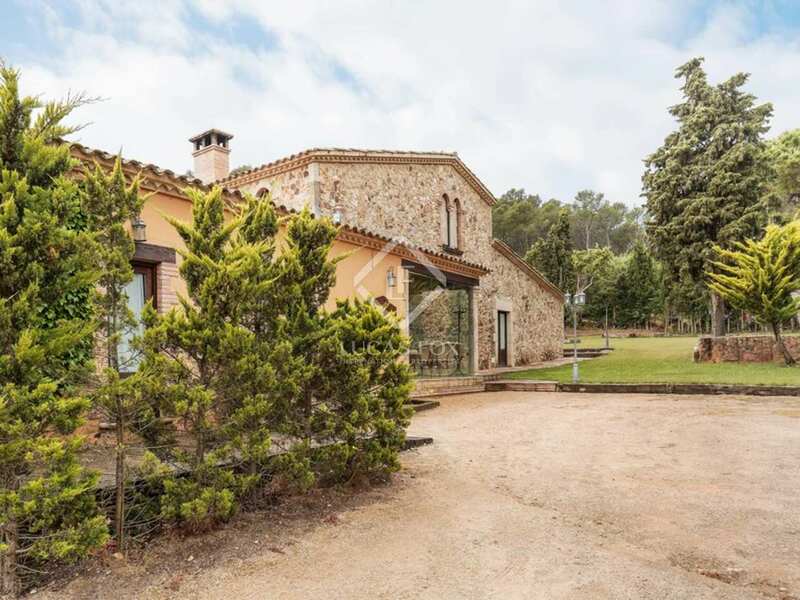 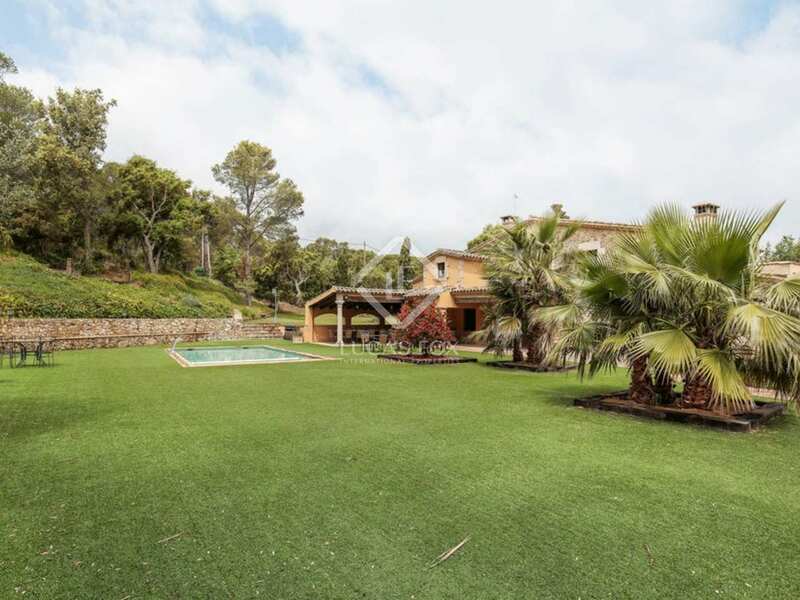 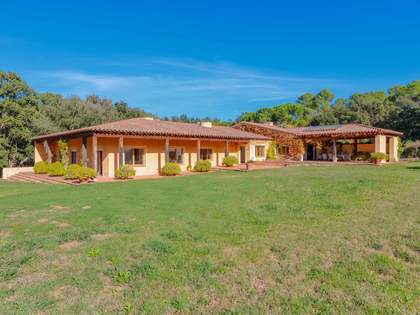 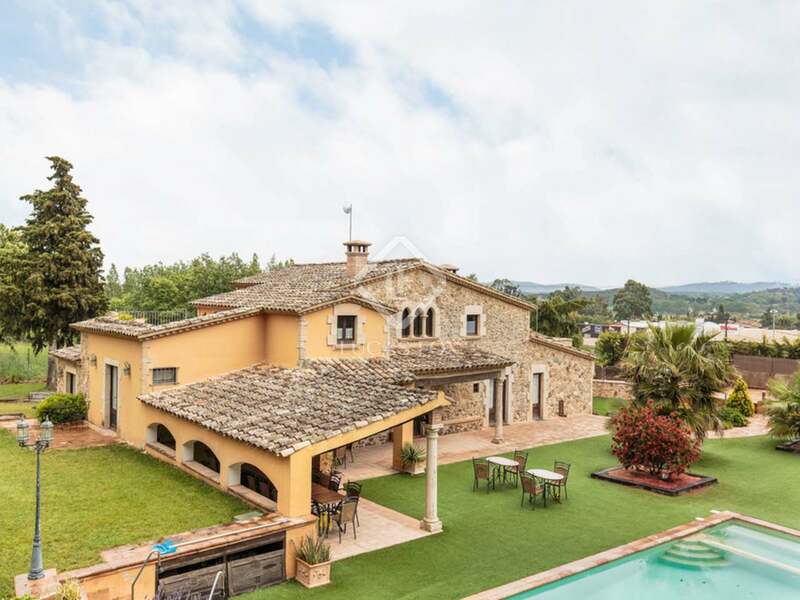 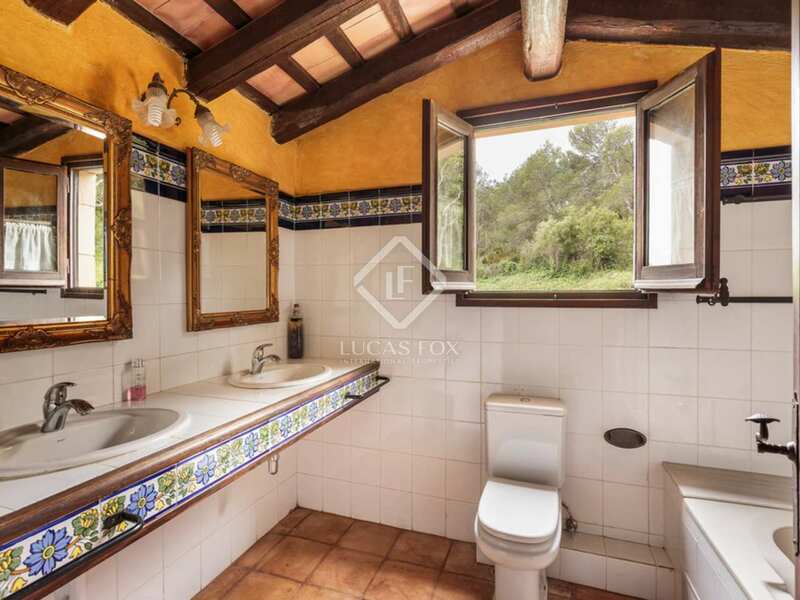 The property has good road connections and is close to Calella de Palafrugell and Llafranc, some of the best beaches on the Costa Brava.